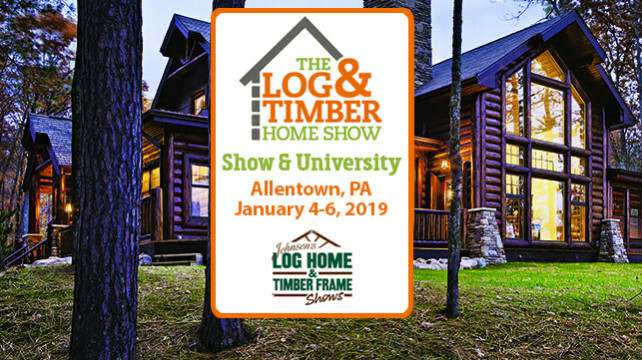 We are proud to partner with Johnson’s Log Home & Timber Frame Show to bring you a Log & Timber Home Show on January 4-6, 2019, in Allentown, PA. Have questions? 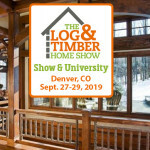 Ask the industry experts in person. Tackling floor plans? See examples of what your dream home could look like! 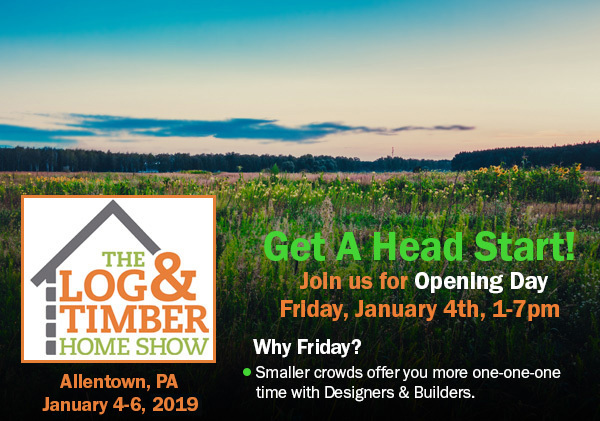 All this and more can be found at The Log Home & Timber Frame Show in Allentown, PA in January of 2019. 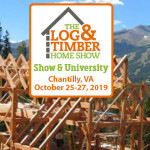 Wherever you are in your home journey—searching for land to build on, selecting a manufacturer or dealer, or finding the perfect builder or architect to design your home– we’re confident you’ll find what you need and much more at The Log & Timber Home Show. 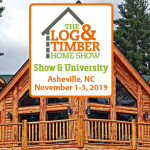 The Log & Timber Home Show is proud to partner our University Course with the Johnson Log & Timber Frame Show. 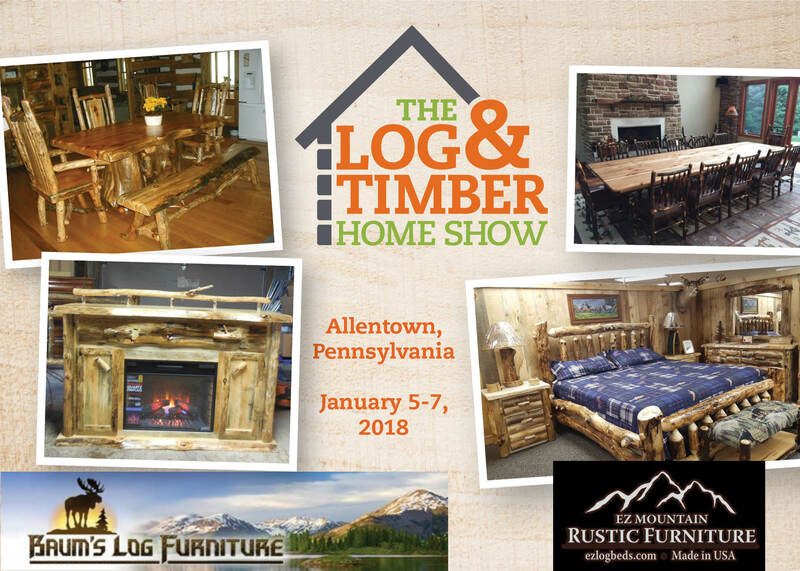 Schedule all or part of your weekend in advance as you make plans to attend this Allentown, PA show. And if there’s something or someone you’d like to see at our next event, just let us know! A Peak into last year’s Furniture Corner! 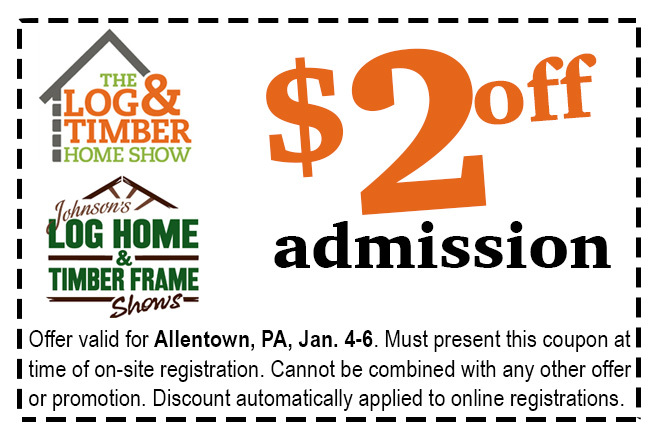 You may want to consider the Allentown, PA University Course held in conjunction with this Show on Saturday ONLY. spaces perfect for working, meeting or relaxing. Take the stress out of travel with free Wi-Fi, a relaxing pool and fitness center. The Market is open 24/7 for snacks and necessities. toppings bar for a variety of options. Exhibitor List as 11/29/2018 Below.